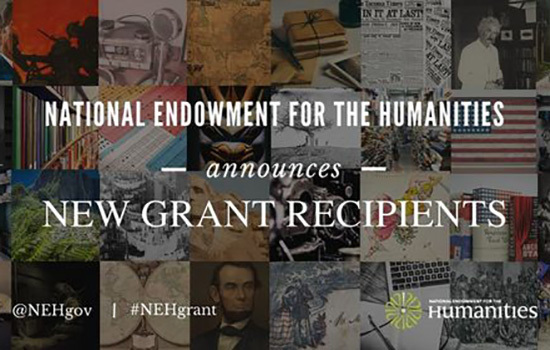 The National Endowment for the Humanities (NEH) has announced a $91,000 grant to Rochester Institute of Technology to help students focus on the historical, economic and cultural meanings of community in and beyond Rochester, N.Y.
RIT is among the first schools to receive an award under the new Humanities Connections grant program. The project, titled, “Community, Memory and a Sense of Place,” will have faculty designing three new courses, each examining Rochester’s development as a center of immigration, innovation and reform. In all of the courses, students will examine common texts on community, memory and sense of place. Beyond classroom study, students will also work on engaged research projects focusing on Rochester neighborhoods, illuminating for students the lived experience of community and memory through time. Students will use oral histories and city archives to create final projects on Rochester history and community. Working with community members, they will also create a digital community website, which will eventually be displayed at the Rochester Public Library. The grant team includes four faculty members in RIT’s College of Liberal Arts: Hermsen, the Caroline Werner Gannett Chair in the Humanities; Ann Howard, director of RIT’s University/Community Partnerships and professor of environmental studies in the science, technology and society department; Kristoffer Whitney, an assistant professor of environmental studies in the science, technology and society department; and Richard Newman, professor of history. The project will also utilize the expertise of area librarians, including Christine Ridarsky, Rochester historian and Historical Services Consultant at the Central Library of Rochester and Monroe County, and Marcia Trauernicht, the director of RIT’s Wallace Library.